Coverage of YouTuber JerryRigEverything’s scratch test of the iPhone 7’s iSight camera lens wasn’t lost on Apple. In the video, the device’s camera lens is shown attracting scratch marks at a level six on the Mohs scale of hardness. That’s quite surprising given both the official iPhone stats webpage and Apple’s marketing boss Phil Schiller insist all current iPhones use sapphire for camera lens protection. Now, pure sapphire crystal should sustain scratches up to a level nine, so it’s odd that the iPhone 7’s camera lens would scratch more easily than it should. As it turns out, the sapphire “issue” was serious enough to warrant an official statement from Apple. 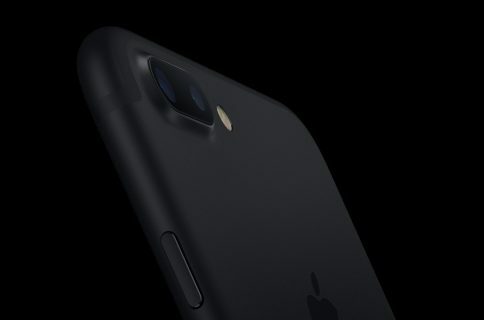 “Apple confirms the iPhone 7 camera lens is sapphire, and under proper testing conditions, achieves the hardness and purity results expected from sapphire,” Rene Ritchie quoted Apple’s official statement given to iMore. It essentially boils down to the difference between “scratching” and “fracturing”. Fracturing—as opposed to scratching—is what happens when you have something so incredibly thin—unlike the much thicker watch used for comparison—and you apply pressure with no level of control. 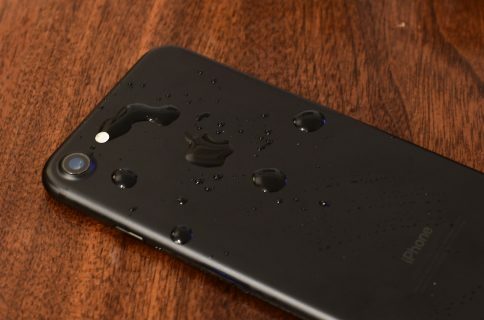 Rene’s article basically implies that JerryRigEverything didn’t conduct his iPhone scratch test properly. “You’d have to precisely apply the same level of force, likely to the same thickness of material, to properly do that test,” Rene concludes. The video is fine for what it is, but it doesn’t include the necessary controls and contains enough theories throughout that the ultimate conclusion it reaches might escape people who don’t understand the subject or don’t watch it closely. Following Rene’s article, JerryRigEverything acknowledged on Twitter that the iPhone’s camera lens is in fact solid sapphire after all though he originally speculated that maybe Apple was using a thin veneer of sapphire over glass and calling it sapphire. 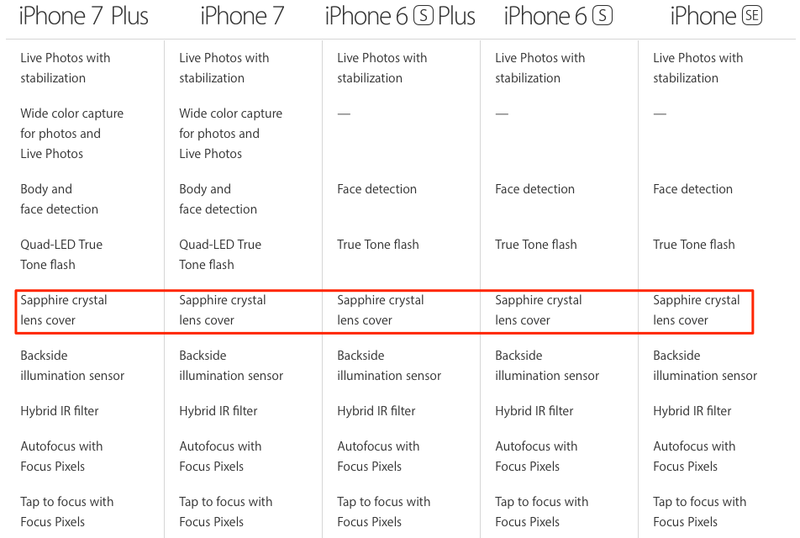 “Just to clarify: the iPhone camera lens IS solid sapphire, not a laminate or glass. Just like I show and explain in the video. 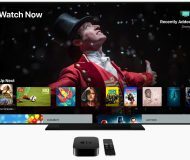 Apple isn’t lying,” the YouTuber wrote on Twitter. As a quick backgrounder, JerryRigEverything’s video seen above shows the iPhone 7’s sapphire lens beginning to show scratches at a Mohs six. The sapphire lens on the iPhone SE also scratched with a Mohs six while the iPhone 6 series showed scratches at a level six on the Mohs scale of hardness. 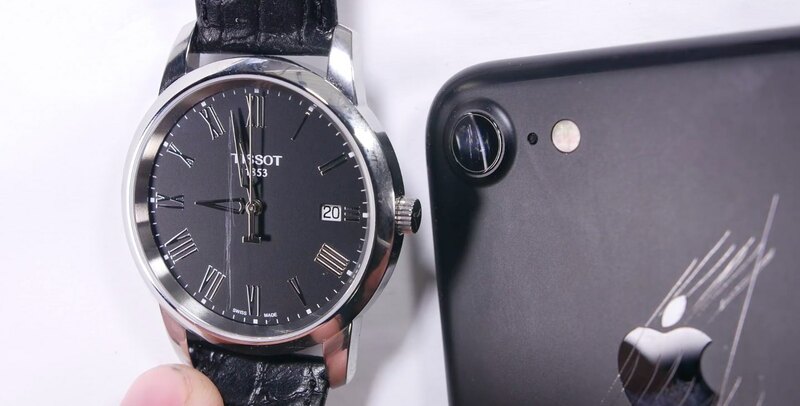 In comparison, JerryRigEverything scratched the cover glass of a Tissot watch which, too, uses sapphire crystal for protection against scratches. First scratch marks on the watch started appearing at a level eight on the Mohs scale of hardness. 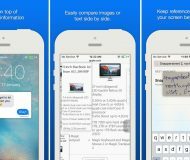 Responding to a question posted on Twitter by a fan shortly following the iPhone 7’s release, Schiller wrote that both new iPhone models use sapphire protection for the Home button and camera lens, just like prior iPhone models. Is Apple telling us a white lie concerning its use of sapphire in iPhones? 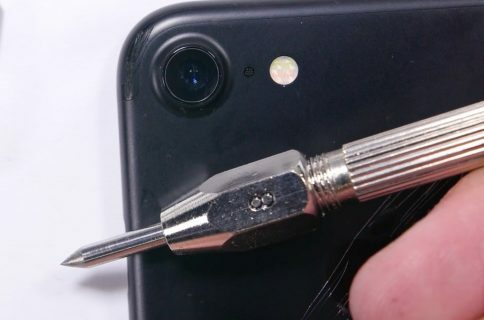 Could it be that the iPhone’s camera lens and Home button are not as scratch-resistant as we thought they would be, or are we making too much fuss about the semantical difference between “scratching” and “fracturing”, do you think?